The company regularly refines its security tools and encourages its traders not to dismiss their usage. Current features include two-factor authentication, a whitelist function for trusted addresses, and a "personal broker" for members qualifying as professional traders. A maker-taker model applies for trading fees and traders are rewarded for adding liquidity to the exchange. Deposits are held in crypto only, unlimited in quantity. Also, HitBTC has no limits on deposit and withdrawal amounts. 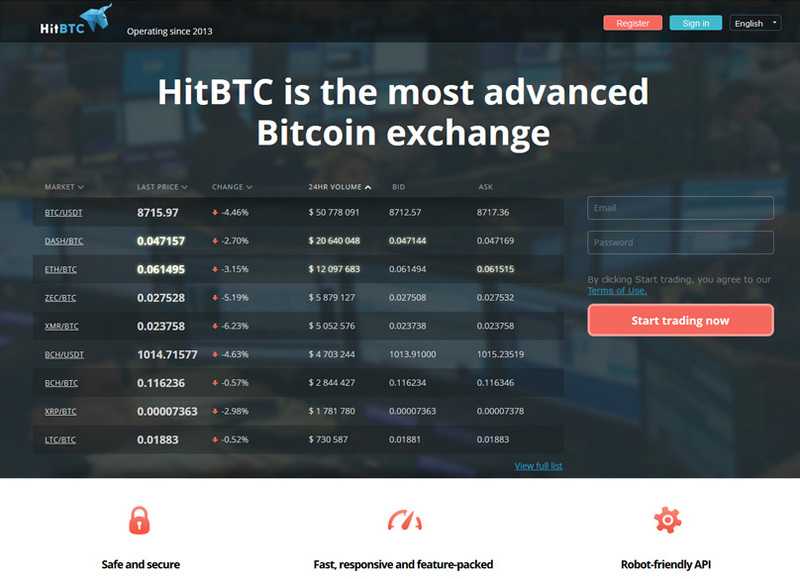 HitBTC provides both FIX and REST API, and a cutting-edge matching engine that offers real-time clearing and low-latency matching algorithms. OTC trading and Margin trade are also available.